How do I end a lease early? This article explains how to delete a lease. In order to remove a resident's access to the Homebase Resident App (locks, device controls, WiFi, rent payment and maintenance tickets) their lease must be removed in the Homebase Community Manager. 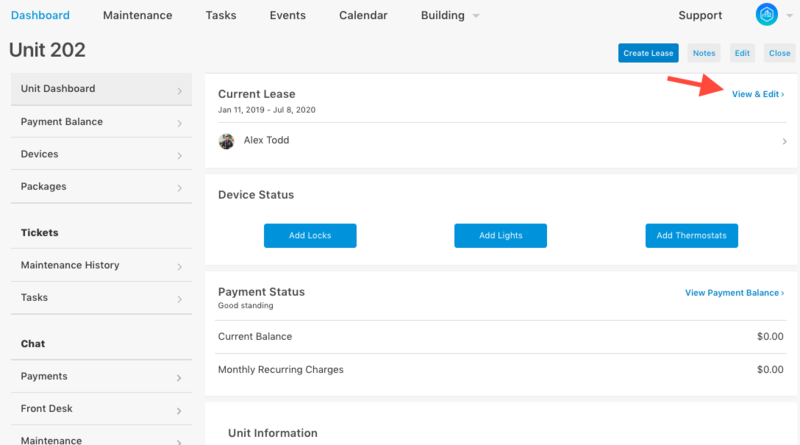 Select the View & Edit link in the Current Lease section of the Unit Dashboard. 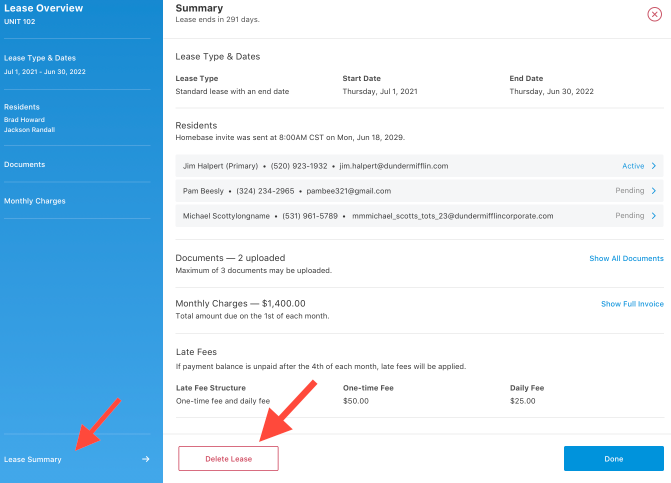 From the Lease Overview select Lease Summary and then select the Delete Lease button.